Contact lenses are one of the best substitutes for glasses, especially for those people who are conscious about the way they look. These days the market is filled with numerous brands and designs of contact lenses. 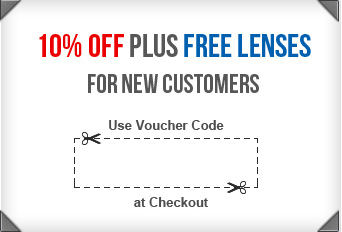 Now a person can choose lenses as per his or her style and fashion. However, before you go ahead and chose that perfect pair of contact lenses, here are a few facts you should know. Fact 1- All contact lenses are designed in a way to rest on the cornea which is the outer area of the eye. Fact 2- Contact lenses hold on because of the tear film that cover the eye and to a little extent by the pressure of the eyelids. Fact 3- As and when the eyelids blink, it causes a little movement in the contact lenses. As a result of this movement, tears fill the eye and lubricate the cornea. This helps in washing away the debris that lies between the contact lens and the cornea. Fact 4- Contact lenses are medical devices to correct common eye problems like hyperopia, myopia, reading problems and astigmatism. In such cases, the light is unable to focus properly on the retina and the result is blurred or hazy vision. Fact 5- When the contact lens is on the cornea, it works as the first optical of the eye. These merge with the optics of the eye and produce a straight focus of light on the retina which results in a clear image. Fact 6- It is always good to replace contact lenses regularly as it is better for the health of the eye. It is also advisable to keep spare ones as the existing ones may get lost or even tear. Fact 7- Always try and use your eye glasses once a week so as to re-oxygenate your eyes. Fact 8- If you over-wear your contact lenses, the common symptoms are blurred vision, burning eyes, seeing circular objects around lights and dryness. If not checked on time, it may lead to serious eye infections and problems. Always go for regular eye checkups. Fact 9- Contact lenses need a planned replacement which is generally twice a week, monthly or even quarterly. Fact 10- Contact lenses should not be used for more than one month. Make sure you have your doctor’s prescription as even slight negligence may lead to complications.